What To Do if You Have a Prior Final Order of Removal (Deportation) | Minsky, McCormick & Hallagan, P.C. Immigration seems to be in the news a lot since President Trump has been in office, but one area that has not received as much attention is the significant change to the treatment of foreign nationals with prior final orders of removal (deportation), or those who have been ordered deported, but continue to remain in the United States. Who has a prior order of removal? Some people have final orders of removal where they were supposed to attend a hearing at immigration court and did not attend that hearing, for whatever reason. It could be they did not know they had the hearing, or that some extreme circumstance prevented their attendance. Other people had prior contact with immigration officials near a border or port of entry and are subject to an expedited order of removal by Customs and Border Protection (CBP). Often times, individuals stopped near the border don’t even know that they have an outstanding final order of removal. There are two ways that the government can act to remove an individual from the U.S. if that person has a prior order of removal. The government can either execute an outstanding order in cases where someone was ordered deported but never actually left the US; the government can also reinstate a removal order where the person was physically removed from the US and then re-entered the U.S. without inspection. But in either case, the government is attempting to use a prior order to remove someone from the U.S. in the present. What is an expedited order of removal? Some individuals who were previously stopped by Customs and Border Protection (CBP) agents may not realize that they received an expedited removal order. Expedited removal orders are removal orders where the individual does not see a judge or appear in court; the order is issued by immigration agents at the border. The process can happen so quickly that many individuals do not understand what happened, and therefore, do not realize the effects. Expedited removal orders have been issued for undocumented individuals encountered by CBP agents at or within 100 miles of the border and within 14 days of their arrival to the U.S. Practically no due process rights exist for individuals subject to expedited removal; only individual expressing a fear to return to their home country are interviewed to see if they can qualify for asylum, and if so, are referred to immigration court to apply for asylum. However, on January 25, 2017, President Trump directed the Department of Homeland Security to increase the use of expedited removal, abandoning the requirement that the individual be found within 100 miles of the border and 14 days of arrivals, expanding the removal net to anyone who unlawfully entered the U.S. in the past two years, regardless of where they were encountered by immigrant agents. But at the present time, this expansion has not yet been implemented, and as discussed in the DHS’ February 20 Memorandum, notice will be published in the Federal Register regarding the expansion of expedited removal prior to its implementation. What is reinstatement of removal? Reinstatement of removal is when the government uses an old removal order to remove an individual from the U.S. in the present. Regardless if someone has a prior expedited removal order from the border or even a prior final order of removal from an immigration judge (EOIR), the government has the legal authority to reinstate these orders without providing a hearing before the court and can be used immediately to remove the person from the U.S. Only individuals who fear they will be persecuted in their home country may have a chance to apply for protection from persecution before an immigration judge. 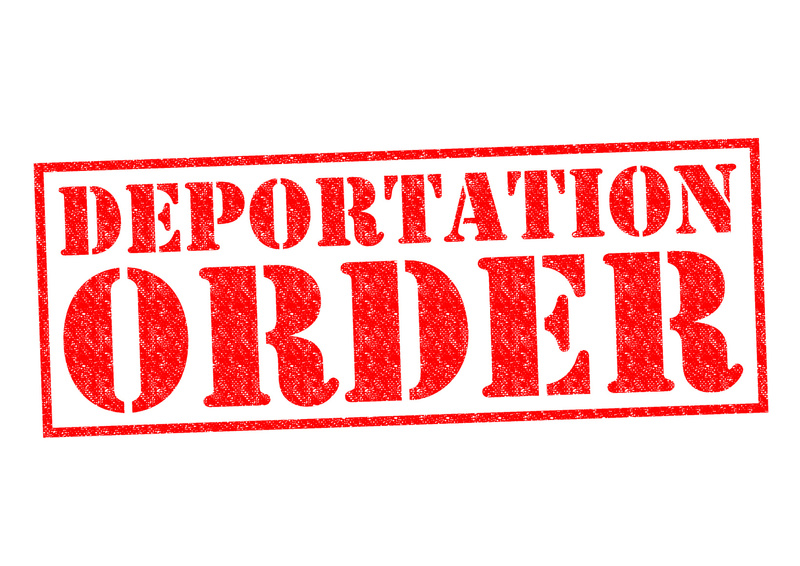 Prior removal orders can be reinstated at any time, even if 10 years or more have passed since the individual returned to the United States. What will happen if I have a prior order of removal? In the past, some individuals who were subject to final orders of removal either issued at the border or by the Immigration Court (EOIR), were granted supervision and temporary permission to remain in the United States by the Department of Homeland Security (DHS). The DHS’ Enforcement and Removal Office (“ERO”) considered humanitarian circumstances, such as severe medical issues to a U.S. citizen or lawful permanent resident family, or whether the individual was in the midst of pursing lawful permanent resident status or had a pending application with United States Citizenship and Immigration Services (“USCIS”) for another lawful status, such as a “U” visa. But under President Trump, this policy of allowing some with sympathetic cases to remain in the U.S. has suddenly changed. Now, many such individuals are being taken into custody and removed (or deported) from the United States despite compelling reasons for them to remain in the U.S. Even individuals who voluntarily appear at their supervision appointments now face the real possibility of being detained and removed from the United States. There may be a way for individuals under prior final orders of removal to avoid removal from the U.S. In some cases, individuals can fight back against their attempted removal (or deportation). For example, there may be a basis to reopen an individual’s case so he or she can file an application for asylum, where the individual fears persecution in the home country due to a deterioration in country conditions or a change in personal circumstances. Additionally, individuals can always request to be interviewed by the government to determine whether they may qualify for asylum or other protection from persecution. If you fear harm in your home country, make sure the immigration agents detaining you knows and understands that you are afraid to return; you should be given an interview to determine if an immigration judge should hear your request for protection from persecution. In other cases where the individual should not have been deported in the first place, attorneys can challenge the reinstatement or execution of the removal order, arguing that there was legal error in the prior order. Additionally, individuals can continue to apply for more time to remain in the U.S. based on humanitarian circumstances, as discussed above. All individuals with previous contact with DHS at the border, at the airports, or in the interior of the U.S., may have a prior removal order, and therefore, may be at risk of the DHS reinstating the old order and removing them from the U.S. If you would like to discuss this matter in more detail, please contact our office.